I don’t think I would ever get enough of Fish and Chips. I have featured some before and here I am again with a new find. Something about fried fish gives me warm childhood memories of everyday lunches or dinners back home. It is not entirely accurate as back then, we ate them with rice and here it is paired with chips or french fries. Now why would I complain about that? 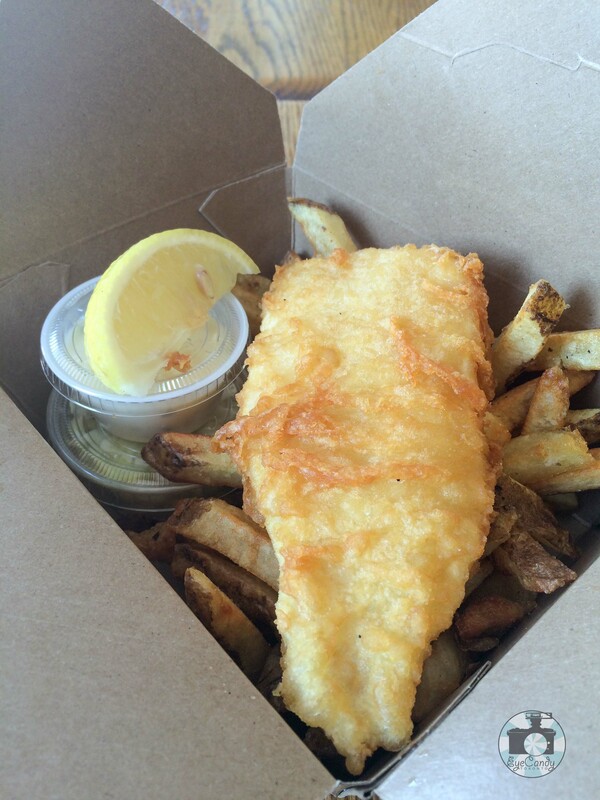 The latest good one that I found is in Kensington Market, Fresco Fish and Chips by Augusta and Dundas. Set up as a take out place, they do have a few tables for a quick bite. Musing over the menu on top of the counter, I opted for haddock and a side of chips. It was tempting to replace it with Sweet Potato fries or Onions rings for an additional $1 or Poutine, Deep Fried Pickles, Battered Mushrooms or Mozza Sticks with just $2 add-on. But the fries won me over. Maybe a second time around. Heaven knows I am at Kensington Market often enough.